​​At AGM Tax Inc, our team of Certified Public Accountant's bring many years of diversified tax experience to the table, and have worked in some of the most sophisticated CPA firms around. We pride ourselves on being able to analyze our clients tax returns and save them as much money as possible. Jack Husney is a passionate advocate for small to mid-market business owners and entrepreneurs who want to take their business to the next level. 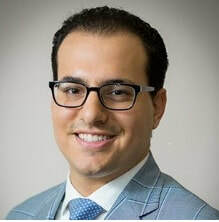 Here at AGM Tax Inc., he serves as Managing Partner; as such he thrives on growing the firm and working with business owners and motivated individuals. Jack enjoys learning the various facets of their business and providing comprehensive tax and growth planning strategies.